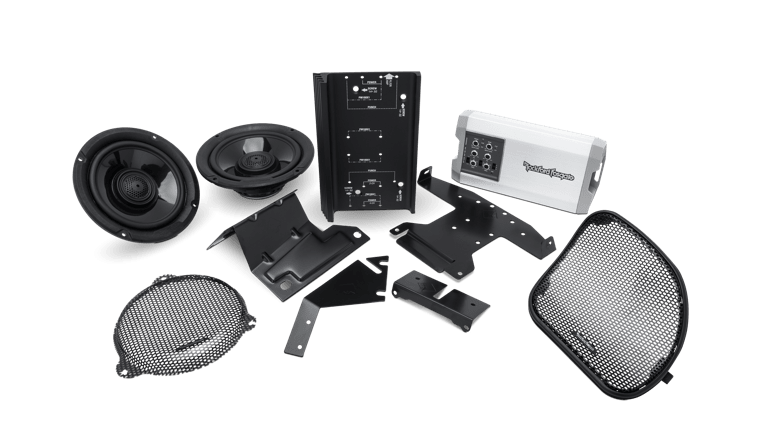 If you own a 2014 or newer Harley-Davidson cruiser, drop by Ocala Car Audio and check out the Rockford Fosgate HD14TKIT amp and speaker kit. Designed to bolt directly into your 2014+ Street Glide or 2015+ Road Glide, the kit includes everything we need to make your motorcycle audio system sound stunning. 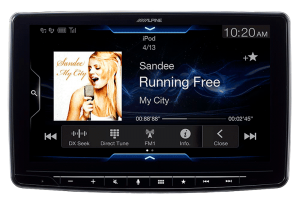 Let’s take a close look at what’s included in the HD14TKIT and explain why it’s a great option to upgrade your motorcycle stereo system. 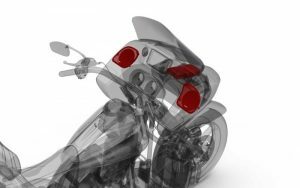 The HD14TKIT includes a pair of 6.5-inch TMS65 Element Ready water-resistant coaxial speakers and a set of replacement grilles that drop right into the factory openings in the fairing. 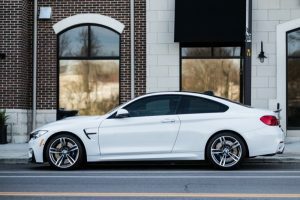 The system also includes a marine-grade, four-channel, 400-watt Rockford Fosgate Power Series TM400Xad amplifier, with all the wiring we need to connect the amp to your bike’s wiring and a mounting bracket to locate the amp above the radio. What Does the HD14TKIT Sound Like? Compared to the factory stereo on your Harley-Davidson, your sound system will not only play louder, but it will have more bass, improved clarity and more detail in the high-frequency region. We can wire the TM400Xad to deliver up to 200 watts to each of the speakers, or 100 watts to each of the front speakers and still power a set of rear speakers in your Tour Pak or saddlebags with 100 watts. If you have a 1998 through 2013 Street Glide, Rockford offers a very similar upgrade solution in its HD9813SG-TKIT. 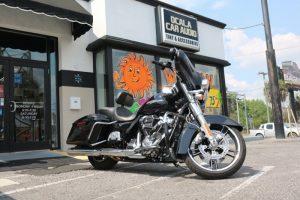 The team members at Ocala Car Audio aren’t just mobile audio specialists — we live and breathe motorcycles. There are often a half-dozen bikes at the shop, and many have audio systems available for you to audition. Our team of technicians understands how to take your bike apart without fear of damaging the paint or brightwork, then integrate your audio upgrade seamlessly so that it will sound great for years and years. 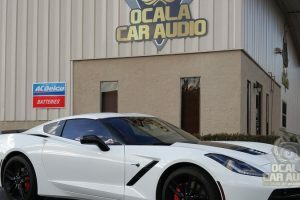 If you are interested in making your motorcycle radio sound better, drop by Ocala Car Audio and ask about the Rockford Fosgate HD14TKIT or any of their sound upgrade kits for your Harley-Davidson cruiser. 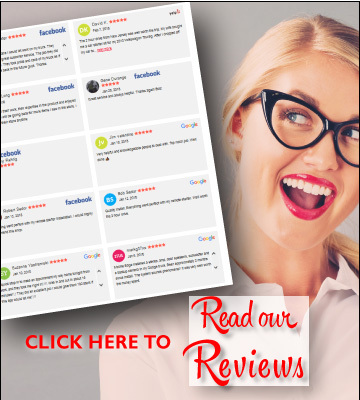 You can reach us by phone at 352-512-9897 or by e-mail using our contact page.